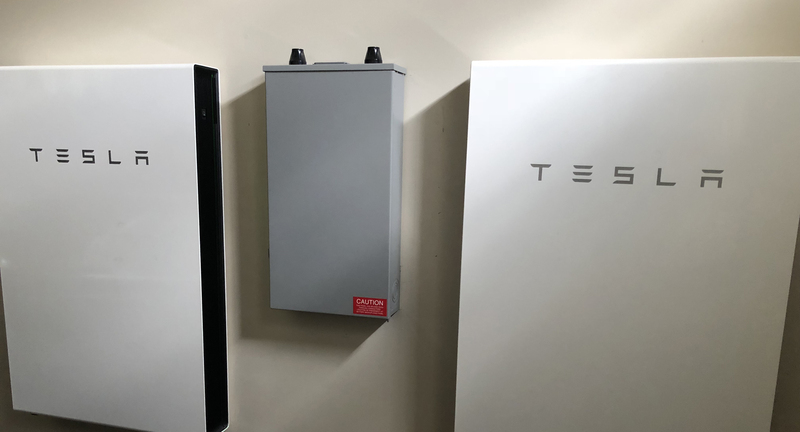 Why do I have TWO Tesla Powerwalls for business? 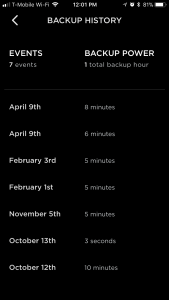 While the waiting list for a Powerwall is a year+, I have two of them. Lucky me? Kind of. I’ll tell you in a moment, and why this is business related. If you follow Elon Musk’s ventures, you’ll know that Tesla Powerwalls are a game changer. You’ll also know three characteristics about Powerwalls. There is a long wait to getting your hands on them. Elon moved a ton of the inventory to Puerto Rico after they were hit with a hurricane. If you are on waiting list you are now waiting even longer because of #2. How did I luck out getting two? Timing. I made my deposit on Halloween day 2016. The confirmation receipt stated they’d be delivered a few months later. Again, if you’re familiar with Tesla, you know that was not going to happen. It took about a year to finally get them installed. And I already had my installation scheduled by the time Puerto Rico was hit. When they finally arrived, I asked the gentleman if he was installing a lot of them. He said that they had been installing them on Solar City orders for a while, but they just barely received approval to start installing them on non-Solar City solar panel jobs. So, yes, they were starting to install more. But that was about to change. Big time. “They just shipped all the inventory to Puerto Rico.” is what he said next. I can’t say that I blame Tesla. By moving inventory to Puerto Rico, you get to subsidize the installation and reap the rewards of positive PR by helping a devastated country, AND you likely get to make a ton more money on the product by amortizing the cost out over several years. Now that you know how I scored them, why do I have them? If the power goes down, we won’t. Our internet is Fiber, and our phones are VOIP. So we’ll have 100% uptime during any power outage. That’s quite a relief, especially when it’s winter season and snowpocalypses roll through. Tesla Powerwalls come with an app that shows you any downtime that the Powerwalls have offset. 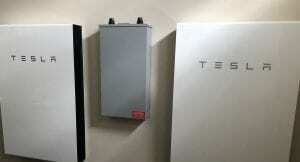 What I find interesting is that the power has gone out several times over the past few months and I’ve noticed it a whopping 0 times that the Powerwalls had engaged. There is absolutely no downtime or flicker when they kick on. Instantaneous backup. Yeah, well. One Powerwall is likely excessive for a backup business plan; two definitely is. But, I’m OCD about quality control, so I don’t even want the possibility of downtime. And now I have an advantage over 99.9999999% of my competition that no strategy or marketing tactic of theirs can replicate.